Many of the best bass guitars are made by companies that are also known for making the best electric guitars. Companies such as Fender, Gibson, and Washburn are famous for producing the finest guitars. However, there are a lot of other bass guitar brands that just make bass guitars. We’ll explore both kinds of companies in our review of the best bass guitar brands below. If you’re a beginner and just starting out, you may want to check out our post on the best bass guitars for beginners first. Just like with every other musical instrument, some companies are better at making bass guitars than others. Even different bass guitars models from one company may be better than models from another. With all of the bass guitars that can be found in music stores and online, it is hard to know which bass brand is the best. Hopefully, this guide will help you sort out which are the best bass guitar brands for you. In this guide we look at ten different bass guitar brands and provide recommendations are which ones you should try. There are some bass companies below which have been around for centuries and some that are new. 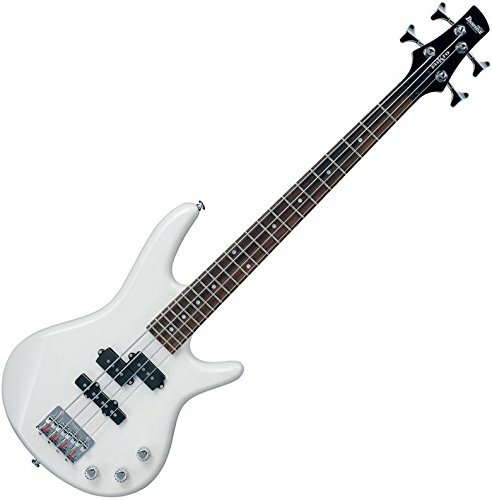 We have evaluated these bass guitars on multiple criteria including sound quality, price, online reviews, company reputation, and overall value for the price. What criteria did we use? 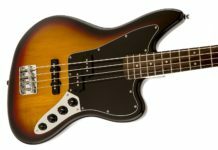 To determine the best bass guitar brands, we looked at a number of different factors including sound quality, price, online reviews, company reputation, and overall value for the price. Sound quality is important to make sure you are getting a bass guitar that makes you sound the best you can. We have spent tens of hours listening to these different bass brands to make sure we know which ones have the best sound quality. Buying a bass guitar at an affordable and reasonable price is very important. We have evaluated all of the following brands on their price points. Online reviews: We have scoured thousands of online reviews to make sure that users agree with the rankings we have made. Buying a bass guitar from a company with a great reputation is important. Not only do the companies below provide great quality instruments, they also provide great support for the instruments they sell. Finally, we have looked at everything that is provided in the instrument package for the price to make sure you are getting the most instrument for your money. The legendary American guitar maker who invented the electric bass has to top our list. Fender has been making high-quality bass guitars since 1951 when they introduced the first bass guitar, the Precision Bass®. Fender bass guitars have become mainstays in all sorts of music from rock to jazz. While Fender basses are typically four-string basses, they also make five-string basses. Fender is most well-known for their high-quality, American-made Jazz Bass and Precision Bass which have become the standard for bass guitars for the last 60 years. If you want an amazing bass guitar that is American-made, we highly recommend the Precision Bass. While the Precision Bass and Jazz Bass are the best bass guitars that Fender offers, they may be too expensive for your budget. If this is the case, you can also buy Fender “Standard” models which are made in Fender’s Mexico facilities. These Mexican-made instruments are half the price of the American-made counterparts and are great for gigging or recording. This year Fender released a new model, the American Professional Series of bass guitars that have innovative design tweaks and high-performance components. These basses really bring the legendary brand into the 21st century. These new basses still maintain the classic look of the Precision and Jazz Basses. If you are thinking about a high-quality bass that is updated to modern standards, the American Professional Series is worth a look. Gibsons have traditionally known as amazing guitars thanks to the popularity of the Les Pauls, Explorers, SGs and Fly Vs models, some of the most well-known bass guitars in the industry. However, Gibson does make great bass guitars as well. While not well-known for lower-end bass guitars, Gibson does make some high-quality advanced bass guitars. The basses Gibson makes are as incredible as their guitar counterparts. On the higher-end you have several options. The most common Gibson models are the Memphis and the Les Paul bass guitars. The Memphis resembles the Traditional ES-335 bass guitar body and is built with a 1961-style maple center block. The Les Paul resembles the namesake guitar and has superior tone. If you can’t shell out a few $1000 for the above bass guitars, the Gibson Thunderbird is a good option. Priced at less than $600, the Gibson Thunderbird is modeled after the Gibson Firebird guitar and was used for years by Motley Crue’s Nikki Sixx. Whatever your budget, there’s a Gibson bass guitar for you. If you’re willing to spend a bit more, the higher-end models such as the Les Paul make great lifetime instruments, but the Thunderbird is a great alternative if you can’t spend the money upfront. Ibanez bass guitars are loved my metal bands just like their regular electric guitars. The basses, however, have also been adopted by other music genres including jazz. Ibanez bass guitars are made by the Japanese company Ibanez which used to make cheap copies of American bass guitars decades ago, but has since become a manufacturer of high-quality bass guitars and accessories. Their most well-known models are the Soundgear and BTB lines which are found to have fast necks for quick playing and versatile electronics, as well as some truly beautiful woods and finishes. Over the last few years, Ibanez has been making significant upgrades to their Soundgear bass guitar line, adding innovative electronics and stunning tonewoods styles. Beginner bass players should check out the GSR200. It is one of the best starter bass guitars and comes with everything you need to get started except an amplifier. If you or your student is interested in playing heavy metal or hard rock, this is a great bass guitar to have. The company known for making amazing pianos, guitars, and motorcycles also makes very high-quality bass guitars. Yamaha makes bass guitars both in the high-end and low-end ranges which means no matter what level of bass player you are, you are sure to find a Yamaha bass guitar that fits your needs. For beginners, the RBX170 makes a great starter bass guitar. The package comes with the bass guitar, cables, a strap, a tuner, a gigbag, picks, and a DVD to learn how to play the bass. 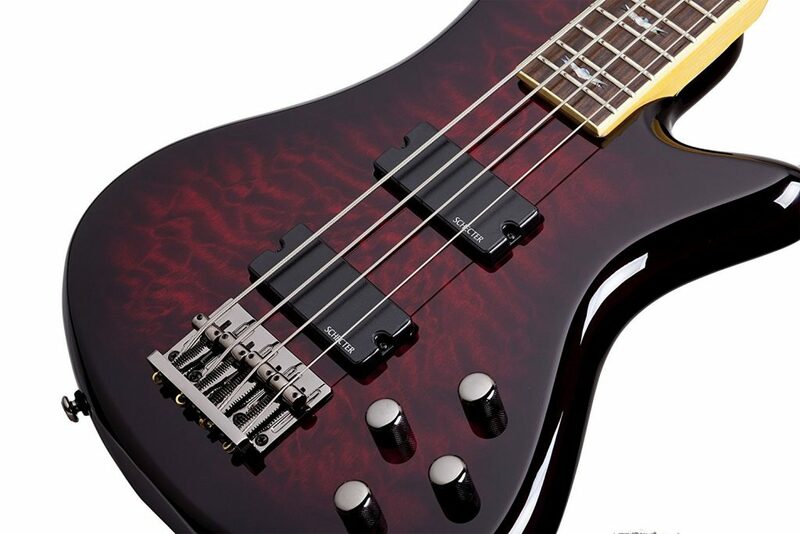 If you’re looking for a higher-end Yamaha bass guitar, the TRBX series can certainly cover you. These bass guitars are comparable to the best Fender bass guitars and they feature Yamaha’s stunning sound quality. The TRBX bass guitars are built with the highest-quality materials and include unique components you won’t find anywhere else. No matter what kind of bass player you are, Yamaha delivers a quality instrument for you. Few bass guitar manufacturers can boast quality instruments on both ends of the spectrum. Squier is the little brother of Fender. The company is owned by Fender and most of Squier’s bass guitars are lower-cost versions of Fender basses. 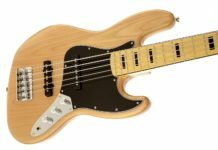 Beginner bass players can get great Squier basses for a fraction of the price of the Fender bass versions, but still feel like they are playing a stylish bass guitar. Squier offers several models of bass guitars, but the most affordable are the Affinity series. They are high-quality instruments that are friendly on your budget. Squier also has many “Vintage Modified” versions of the classic Fender bass guitars. One of our favorites is the Vintage SS Jaguar Bass Guitar. Many of the beginner Squier bass guitar packs contain everything you need to get started. For example, the “Stop Dreaming, Start Playing” bass guitar set contains an Affinity series bass, a Fender Frontman 10G amp, tuner, instructional DVD, gig bag, cable, strap, and picks all for less than $200. This is a great deal for a beginner bassist since buying all of this equipment separately could easily cost an additional $100-200. If you’re looking for an affordable bass guitar that is sure to please, look no further than the Fender Squier series. They build great bass guitars that will get the beginner bass player through the first few years of lessons. For only $200, you can get everything you need to start playing the bass today. Rickenbacker bass guitars have found their way to the forefront of rock music, although they have managed to stay under the radar when compared with the likes of Fender and Gibson. Rickenbacker basses have been used by many rock legends including Paul McCartney, John Entwistle, Geddy Lee, and Lemmy Kilmister. 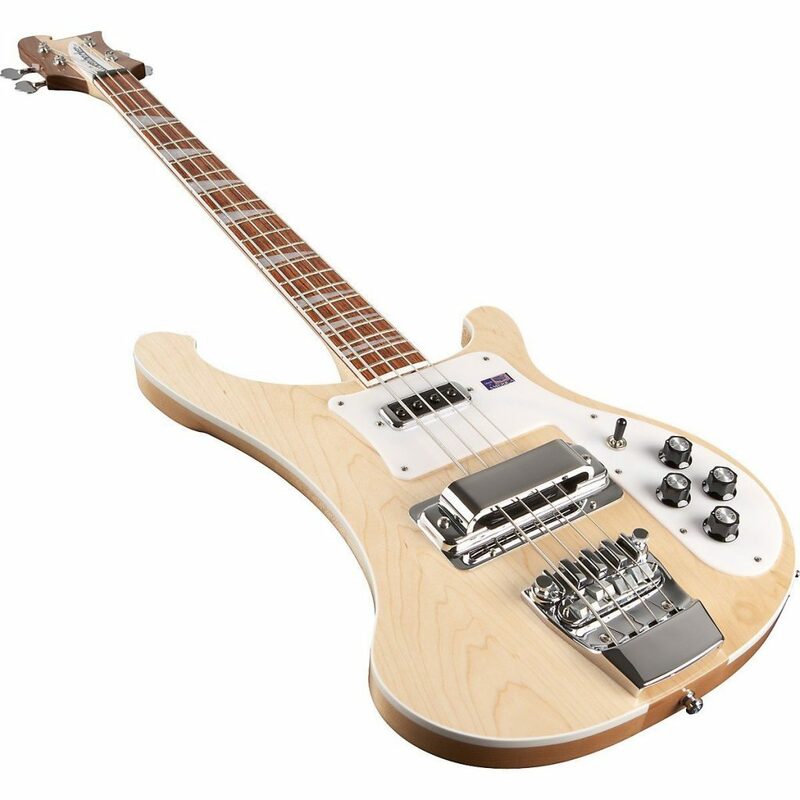 The Rickenbacker 4000 series of bass guitars are the most well-known of the brand. The 4003 model in particular is the company’s flagship model, having evolved from the original 4001 series. The 4003s feature a classic design with a chrome-covered bridge pickup. Rickenbackers are not for the beginner bass player and many of their instruments run in the thousands of dollars. The tone of these machines is generally not appreciated by beginners so we don’t recommend buying this bass brand unless you are a serious bass player. While the lower-end Rickenbacker models start at $1,500, they are worth every penny for those who appreciate these beautiful basses. Warwick bass guitars have been the masters of Rock n Roll since the 1980s. Founded in Germany in 1982, Warwick has been pumping out quality bass guitars worthy of any best bass guitar list. 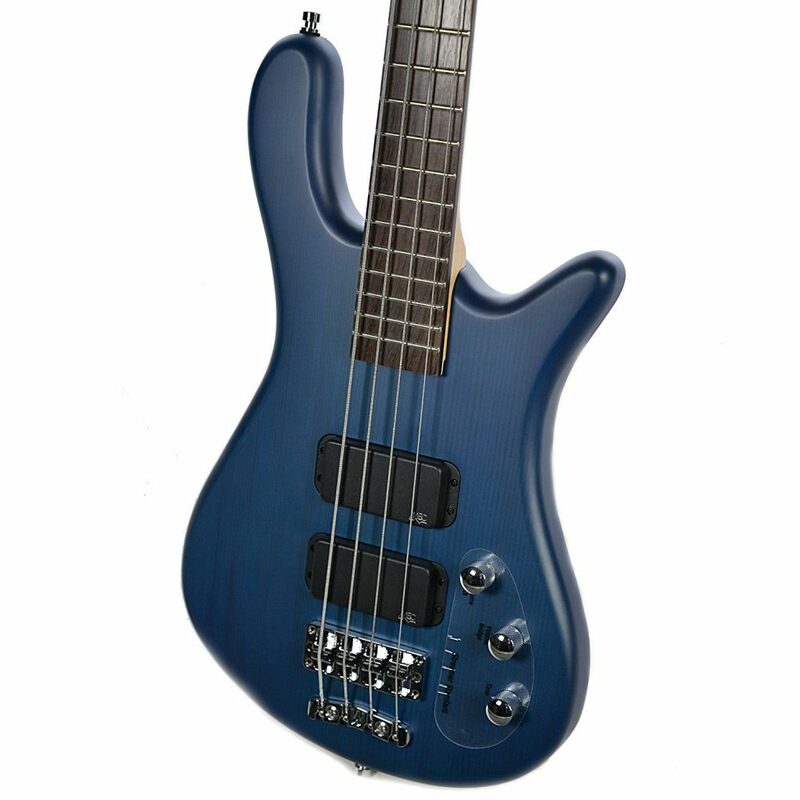 Most of the Warwick line of bass guitars are made in the company’s headquarters in Germany, but some models, such as the Pro Series and RockBass offerings, are made in China. Their most popular models are the Corvette, Streamer, and Thumb models. 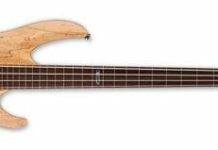 The entire Warwick series of bass guitars feature exotic tonewoods and gorgeous finishes. The Corvette in our opinion sounds the best of any of the models. If you can spare the money, we’d recommend getting a Warwick Corvette; it will last you for years. 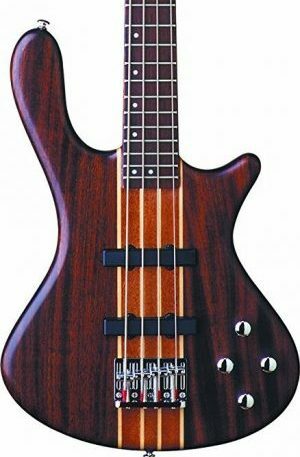 If money is an issue, the RockBass model will suffice, but you may find that you need to upgrade soon enough to one of the higher-end models since you are sure to fall in love with the Warwick bass guitars. Another bass guitar brand that is traditionally known for producing great guitars also produces some of the best bass guitars. Having been around for over 125 years, Washburn mostly only makes high-end advanced bass guitars, although they have produced a few models for the intermediate player. Washburn’s most well-known brand is the Stu Hamm signature model which retails for over $2,000, but you can find a decent number of intermediate Washburn basses. For bassists with a tight budget, the Taurus model works quite well. Schecter basses are loved by metal and hard rock players. One of the best intermediate bass guitar brands, Schecter bass guitars come with components you would expect from bass guitar brands with much higher price points. There are a lot of Schecter brands to choose from, but we recommend starting with the Stiletto Series. What’s really impressive about Schecter basses is how they can fit quality components like EMG pickups, active EQs, and a figured maple tops into such low-priced packages. This company continues to impress by providing gear that should cost way more than it does. These are great instruments, especially if you’re into rock music. Stagg bass guitars made great starter basses. While they don’t have the sound quality of many of the other bass guitar brands on this list, they are relatively low-cost and perform well enough for your student to learn how to play. The great thing about Stagg bass guitars is that they are extremely customizable. If you are comfortable taking apart basses, you can add a lot to these bass guitars. New pickups, strings, and other hardware turn these basses into decent instruments that can compete with some of the other brands on this list. Buying the bass guitar isn’t enough. You’ll also need a bass guitar amp, a nice set of bass strings, decent pickups, and possibly a pedal board if you want to get special sounds. Once you have bought a new bass guitar, you will need to get the accessories. Check out our guide on “Buying a Bass Guitar” for help in getting ready to play! There are many bass guitar brands on this list, but there are still hundreds more that we haven’t mentioned here. While the best bass brand for you depends on what you are looking for from a bass guitar, we highly recommend the brands on this list. If you find another bass guitar brand that works for you though, go for it! The more you feel comfortable playing your bass, the better you will play. Once you have bought a new bass guitar, you will need to get the accessories. Check out our guides on the best bass guitar strings and best bass guitar amps for help in getting ready to play!